Councilman Rex Richardson announced on Monday, Jan. 28 the location of a year-round homeless shelter in North Long Beach slated to open June 2020. Photo by Stephanie Rivera. City officials today revealed the location of a much-anticipated year-round homeless shelter they hope to open in 2020 and announced plans for a large campus that would eventually provide wraparound services for those experiencing homelessness. 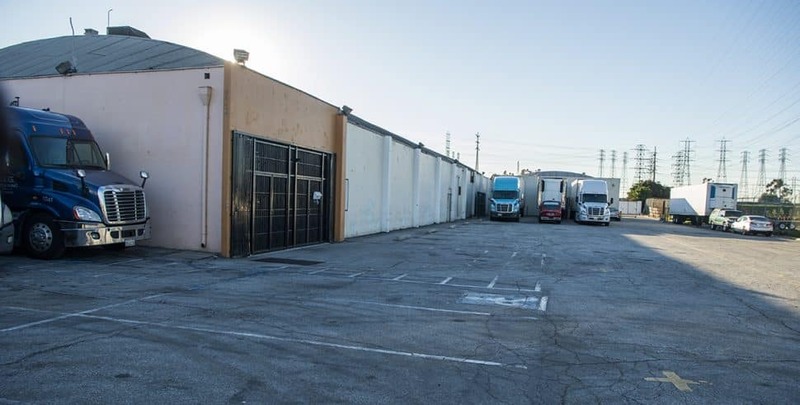 The 3-acre lot at 6841 Atlantic Ave. in North Long Beach, which includes a liquor store and a warehouse that was previously used as a temporary homeless shelter during the winter, is expected to provide 125 beds with separate quarters for men, women, families and LGBTQ individuals. It will be a pet-friendly shelter, include limited storage and be open 24 hours. No one will be bused in (as is the case with the winter shelter) but no one needing immediate help will be turned away either. “It’s going to look a lot better. It’s going to feel a lot more humane,” Councilman Rex Richardson, who represents the 9th District where the shelter will be located, told the Post. A warehouse behind Eddie’s Liquor store will be part of the site. Photo by Thomas R Cordova. While multiple nonprofits provide shelter beds across town, what is lacking is a comprehensive space, Richardson said, a place with open doors to everyone and resources to figure out the best place to put someone. The acquisition agreement for the property comes with a price tag of $9,591,540 and is expected to be approved by the City Council in early February. A combination of state and city funds will pay for it, officials said. The county is also funding the project to the tune of $3 million—money earmarked to temporarily retrofit the building on site while the city begins plans for a more comprehensive campus. Kelly Colopy, director of the city’s health and human services department, hopes to get the shelter operational by summer 2020, possibly a bit sooner, but not any time this year. While results from this month’s homeless count are not yet available, 2017 figures put the city’s homeless population at 1,863 persons. That number includes 1,208 unsheltered persons, 354 in emergency shelters and 301 in transitional housing. What makes this project different from any other shelter is the future vision for the location as a campus, Richardson said. A field that could become part of the campus at the city’s first year-round municipal homeless shelter. Photo by Thomas R Cordova. 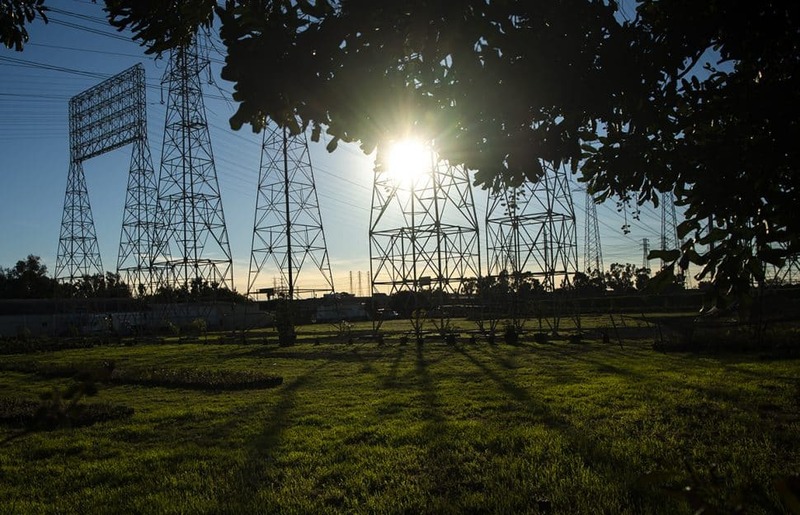 With 5 acres of Southern California Edison-owned right-of-way land on one side of the property and 11 acres of vacant land behind it, including the Los Angeles River, Richardson hopes to activate open spaces (think urban farm or park) through public-private partnerships. Currently, there is no city park north of the 91 Freeway. Under the city’s Land Use Element, which is a set of new zoning rules approved last year, the area also has the potential for increased density for up to five levels, Richardson noted. “It’s one of the rare opportunities in the city to really think big about redevelopment and about building more housing so it allows us to set the stage for a broader campus rather than think simply about a shelter,” Richardson said. Of course that vision for a broader campus would never have existed if it wasn’t for the support the city has received from the surrounding community, according to Richardson. After a series of community meetings that included residents of the Hamilton neighborhood where the property is located as well as North Long Beach community leaders and other stakeholders, the city found the support it needed to continue with the acquisition in earnest last year. Renette Mazza, managing board member of the Hamilton Neighborhood Association, said community members were in support when they found out it would mean getting rid of the liquor store at the property, which she called a “source of nothing but problems” that would bleed into the neighborhood. 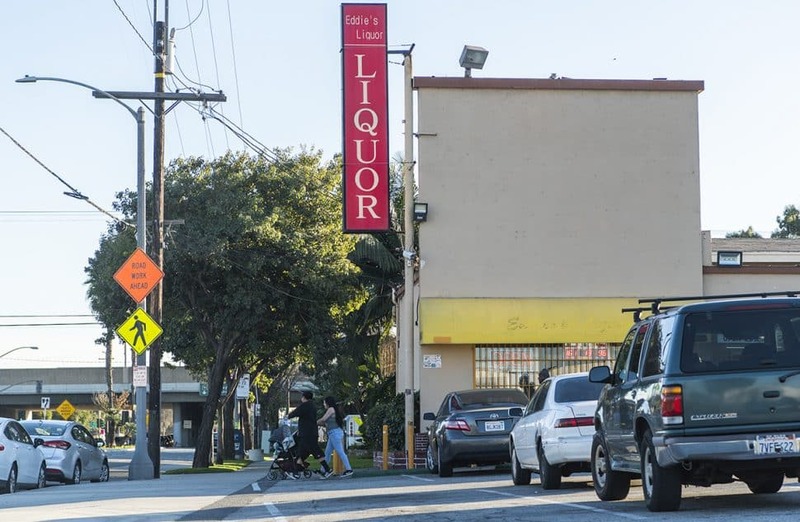 Long Beach’s first year-round homeless will be at 6841 Atlantic Avenue where there’s currently an Eddie’s Liquor store. Photo by Thomas R Cordova. Mazza, who has been a homeowner in the area since 2014, called the plan a solution to many problems—getting rid of a bad neighbor and getting rid of a bad environment. While residents regionally have been more than willing to financially support homeless services (county voters approved a quarter-cent sales tax for homelessness programs in 2017), they have been less inclined to allow support services so close to home. “Folks have been very willing to support the financial needs of solving this crisis, but the trend has been ‘I don’t want it so close to me, why don’t you go do it over there’,” said Andy Kerr, who was vice chair of the city’s homeless taskforce and is a member of the county’s Measure H Citizens’ Oversight Advisory Board. 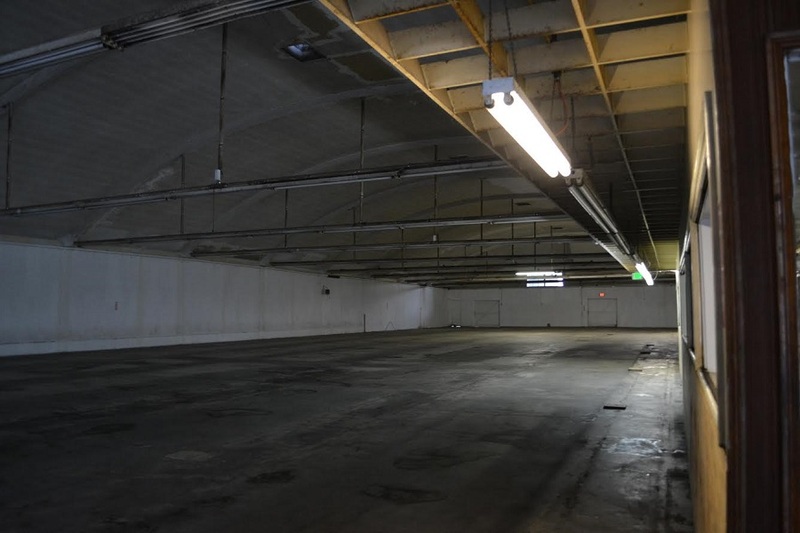 The inside of the warehouse at 6845 Atlantic Avenue that was previously used for the city’s temporary winter shelter. File photo by Stephanie Perez. Kerr said he has seen how finding locations to house and assist the homeless has been the biggest challenge all over the county. While a completion date has not been set for the campus, a visioning task force composed of community leaders, health-care providers, affordable housing experts and others will set recommendations on what services, amenities and facilities will be best suited. Richardson said a number of current affordable housing operators have already expressed interest in collaborating with the city. He hopes the city will be able to announce partners and concepts for the campus before the end of the year.